Thank you for supporting Panoweaver. Panoweaver has been upgraded several times since it was released in 2002. However, we’re still developing the better edition, to meet various users’ demand. 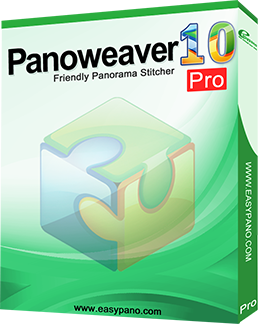 Now we’ve published new edition Panoweaver 10. We hope it can be helpful and get everyone's recognition and support. Panoweaver 10 advocates simplicity, easiness, and high-efficiency. It will automatically complete some procedures to save more time and effort, such as source image recognition and evaluation, stitching process intelligence, and etc. You just need to: Import the source image, click the stitching button, and then save the final result. You will get a perfect panoramic image. Being professional is our faith. We’ll keep the principle: the software can support images photographed by various devices, and different publishing results. The users have user-defined and decision-making right. We’ve optimized large images loading and stitching calculation, making stitching more smooth，and meanwhile，it is safer and more efficient when saving results. Supporting multi-platform panorama identification, like 360 degree viewing on Facebook ; Sharing to sky.easypano.com website in One-click.